Summary: Stephen Frears isn’t looking to make judgements about whether the Queen’s actions in the wake of Princess Diana’s death were right or wrong, rather he aims to put them into context. Were we actually all so in love with Tony Blair in 1997? Surely, deep down, we could see that he had an itchy trigger finger and a lust for straight-talking American men? The Queen isn’t the first time it’s been suggested that we were victims of Blairmania that summer. The documentary Live Forever, for instance, featured a parade of Britpop stars talking about Tony Blair like spurned ex-lovers. But this film seeks to make an additional point; that while the Prime Minister was our hero, we had also found a new villain in the shape of Her Majesty. The story begins with Labour’s election in 1997. The peculiarities of our constitution (point of note: this film suggests we don’t have one, which this isn’t true. We have an uncodefied constitution, i.e. it isn’t found in a single document as with most other countries) mean that Tony Blair must go to the Queen so she can ask him to form her government. There’s a lot of protocol to be remembered at Buckingham Palace which Tony and Cherie find rather ridiculous, as would most of us. Though old and new Britain are demonstrated to be at odds to each other by this early scene, it seemed that little would change. Events a few months later, however, threaten to seriously upset the status quo. Princess Diana’s death in Paris shocks the whole country, and we all go into grieving overdrive (however happy we were about Tony becoming prime minister, we’re 50 times sadder about Diana dying). But we’re not only sad, we’re looking for someone to blame. And the fact that the Her Majesty isn’t prepared to go on TV and cry a river for a woman she didn’t like makes her public enemy number one. The strengths of the film are twofold. Firstly, the performances are first rate, nailing the idiosyncrasies of the characters without descending into Rory Bremner territory. James Cromwell, so wonderful as the corrupt Captain Dudley Smith in LA Confidential, should be particularly praised for using great restraint in his portrayal of Prince Philip. 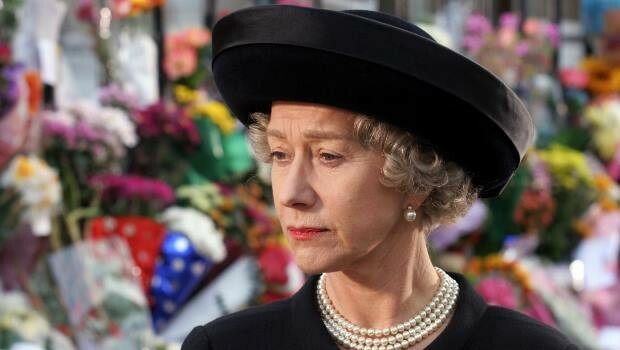 Helen Mirren and Michael Sheen, in the lead roles of the Queen and Tony Blair, are equally on the mark. But more importantly, director Stephen Frears isn’t looking to make judgements about whether the Queen’s actions in the wake of Princess Diana’s death were right or wrong, rather he aims to put them into context. She comes from a generation where emotions were not meant to be displayed, and thus the idea of grieving in public is absolutely abhorrent. The final scenes of the film, if considered in the light of Tony Blair’s present political situation, see the tables turned somewhat between the hero and villain. The Prime Minister goes to the palace for a meeting with the Queen a few months after Diana’s death and tells her that she is back to being as popular as she once was. She remarks that the media would one day turn on him the way they did with her. Wise woman.